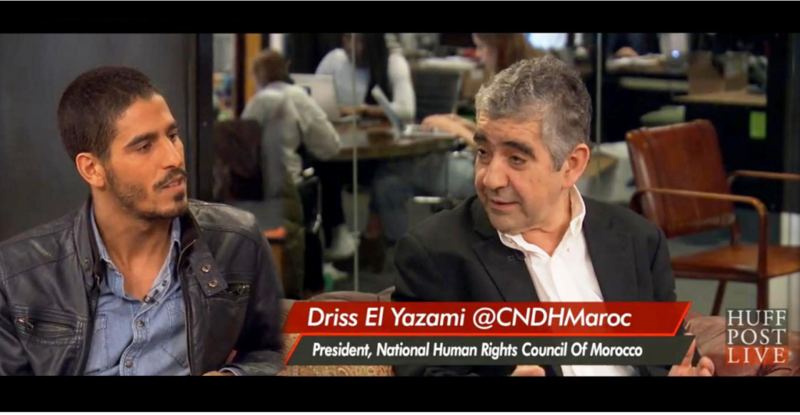 When Driss El Yazami, the chairman of Morocco’s National Human Rights Council (CNDH) spoke recently in Washington, DC, he was asked about the so-called Arab Spring and its impact on human rights protections. He was quite candid in his response. “The core issue is about identity; it is about dignity. It is the loss of the connection between one’s identity and one’s dignity that is at the heart of today’s unrest.” He believes that human rights protections derive from the value that governments place on their relationship with their people. Human rights protections are a conscious effort by governments to have a social contract that applies to all people in the country. This is the rationale behind the CNDH’s campaigns for migrant rights, the end of military trials for civilians, enhanced rights for the mentally ill, and eliminating child labor, to list several of their most recent efforts. And Morocco has earned praise for its continuing human rights reforms, largely as a result of the government adopting CNDH’s recommendations and turning them into legislation. Mr. El Yazami contends that this is the characteristic of democracy that goes beyond elections. It is a space where all opinions can be heard and debated without fear and with respect for differing perspectives and the outcomes of the debate. In the past few months, Tunisia has garnered extensive praise from the international community for its “National Dialogue,” which weathered a very difficult drafting of a constitution and installation of a transitional technocrat government leading to presidential and parliamentary elections in late 2014. The contentious constitutional process avoided the poor outcomes that have plagued Egypt and Libya where significant disagreements have produced unsatisfactory conclusions. It should not be taken for granted, however, that the transitional success of the National Dialogue means that there is unity in Tunisia’s political landscape. Human rights advocates are concerned that political expediency will mar steps needed to genuinely move Tunisia forward. As Yasmine Ryan writes, “…ignoring deep structural inequalities will only lead to further instability. Add to this the desperate need for major reforms to the judiciary, security forces, the education system, and decentralization, among others—and Tunisia’s challenges can sometimes seem insurmountable.” And the questions of national identity and defining with some precision the relationship between the state and religion continue to be unresolved, promising more contentious maneuvering as the elections approach. Amna Guellali, director of Human Rights Watch for Tunisia and Algeria, remarked in an article in World Policy Journal that contradictions and vague definitions in the constitution “could have grave consequences for the country.” It is in this gap between the constitution and how the enabling legislation is drafted, finalized, and implemented that human rights protections face their greatest challenges. One compelling example is the potential contradictions in the role of the government as “the guardian of religion” and “protector of the sacred,” while also ensuring “liberty of conscience.” Given that the first article of the new constitution states that Tunisia’s religion is Islam, there are understandable concerns about how this will play out. Without a national independent body akin to CNDH that can shed light on inclusive steps towards real democracy, the task of defenders of human rights is more difficult as the economic and social development needs of Tunisia will dominate the agenda of any incoming leadership. How much-needed human and social development challenges will be addressed after the elections has yet to be discussed. “It is a testament to the extreme disconnect between the country’s formal political structure and its civil society that the overwhelming majority of ordinary Algerians have been completely unaffected by the virtual absence of presidential authority…” With the debate yet to begin on a new constitutional amendment providing for the office of Vice-President and the installation of that person, human rights has little visibility within the debate over the new power balance that will emerge with Bouteflika’s departure. As James D. Le Sueur wrote in a monograph for the German Marshall Fund, “Politically, Algeria has managed to weather the storm brought on by the Arab Spring through swift and deliberate police presence meant to suppress real calls for reform.” It is hard to imagine a meaningful national dialogue in Algeria on identity and dignity emerging any time soon. Laudatory as the results of the Tunisian National Dialogue are, its new constitution exemplifies the challenge of closing the space between values and politics. As Tunisians prepare for end-of-year elections, the priority given to human rights may become clearer as candidates address voters concerns about social and economic inequalities. Morocco has its plate full with recommendations from the CNDH as well as judicial reforms, a new civil society framework, and reducing economic disparities to address through the end of this year. In Algeria as well as Libya, where basic rule of law has yet to be established, internal dissensions, power moves among various players, and uncertainty among the populace as to their countries’ future stability will have a major impact on the importance given to human rights under new governments. It will be a long year ahead.